If you’ve ever had the very specific fantasy of playing Ms. Pacman on your neighborhood streets, there’s good news. 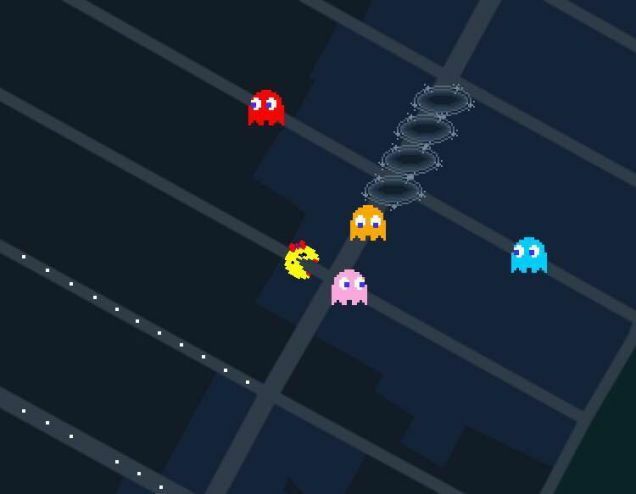 The Google Maps phone app will let you transform anywhere into a playable Ms. Pacman stage. The process is simple. If you have the Google Maps app, all you need to do is open it up and hit the amazingly conspicuous button with Ms. Pacman’s face. After that, you’ll be able to collect power pellets and run from ghosts up and down familiar streets. I’m in New York. Everything is a grid here so it works really well. If you’re on winding backroads, it’ll be a bit harder. My recommendation for the best Ms. Pacman experience is to zoom out far or head to a location with more roads. Just don’t do what I did and mutter “wakka wakka wakka wakka wakka” the whole time. Just tried it and it works great. Very cool! Yes it does! It's a temporary thing, though. Wish they had it all the time.